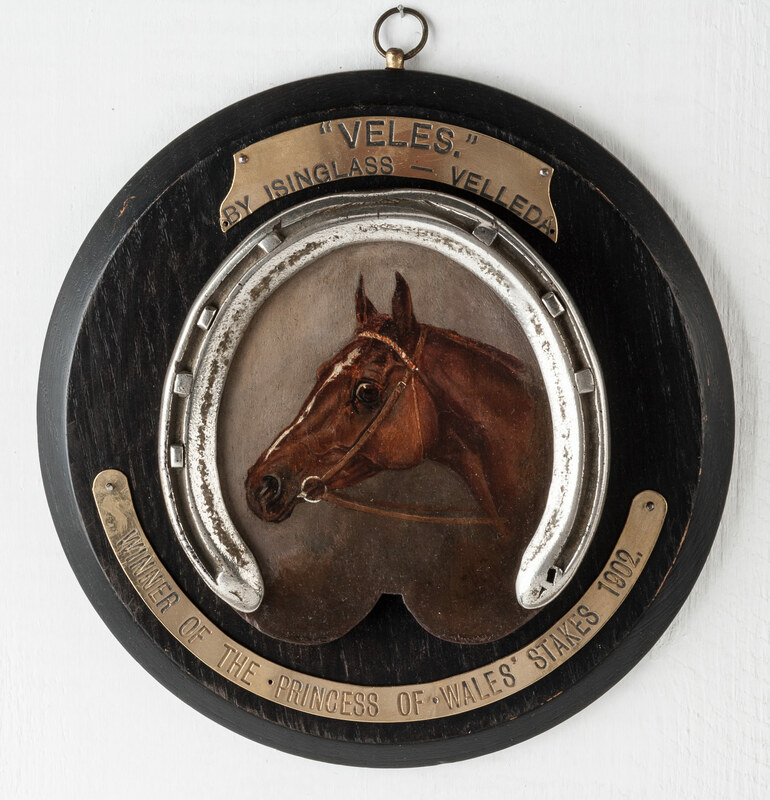 A portrait of Veles, winner of the Princess of Wales stakes in 1902, set within a shoe and on a plaque recording the event. Signed lower right by the artist, Henry Frederick Lucas Lucas. Long lived, from 1848 to 1943, Lucas Lucas painted a number of hunting scenes, especially of the Pytchley. Earl Beatty was one of his patrons and Forres published several of his works as prints.